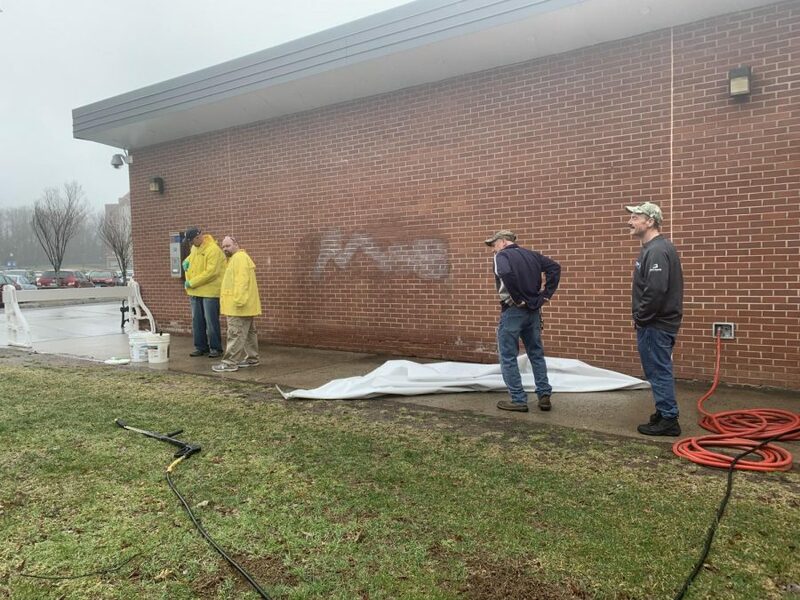 The racial slurs that were spray painted onto two campus buildings have been removed and are under investigation by the Central Connecticut Police Department. 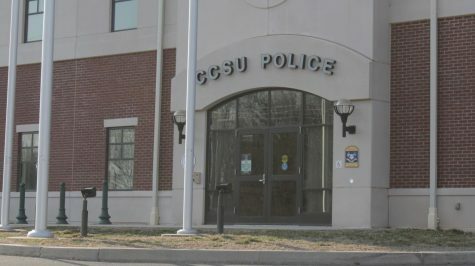 CCSU Police Officer Sebastian Magnano and Dispatcher Arnold Corpus confirmed reports that the word “n—er” was spray painted outside the Student Center and Welte Garage on Sunday. Crews removed the slurs promptly and police are investigating. 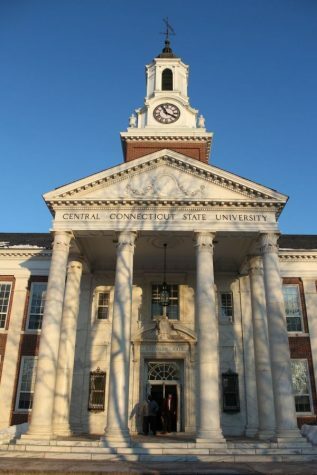 A Facilities Management team responded Sunday morning and removed the paint, CCSU Director of Public Relations Janice Palmer said. 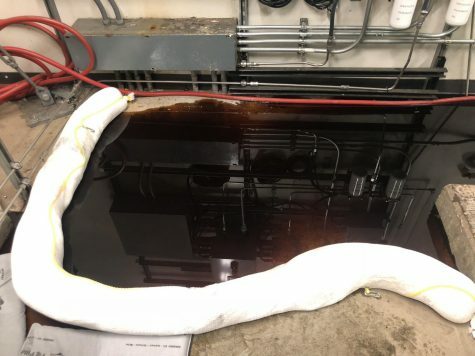 A second chemical treatment, which was completed Monday, was necessary to completely remove the paint from the Student Center site. The graffiti comes after the recent renaming of the former Social Science building to the Ebenezer D. Bassett Hall. Bassett was commemorated in a ceremony to honor him as the university’s first African-American graduate. 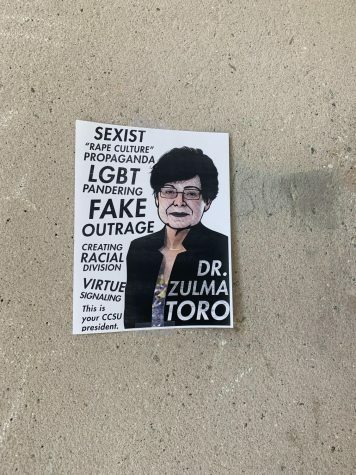 The incidents prompted a reaction from CCSU President Dr. Zulma Toro, who made it clear the “message of hate” will not be tolerated. 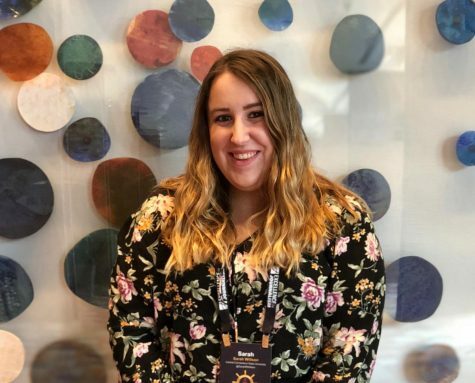 Student Government Association President Kassandra Fruin said the vandalism not only “weighed heavy on her heart,” but also prompted her to involve the SGA. Fruin said while her goal has always been to promote a more welcoming campus, she is now looking to now create a student-to-student open discussion with faculty. In order to do that, Fruin said she will continue to meet with the Steering Committee of the Faculty Senate to not only discuss issues on sexual misconduct, but also campus climate. 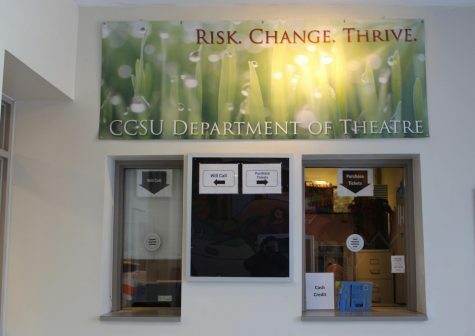 Though Fruin expressed her dismay, perhaps some of the most outspoken about the incident were CCSU students, all of who said they were shocked by what they had seen. 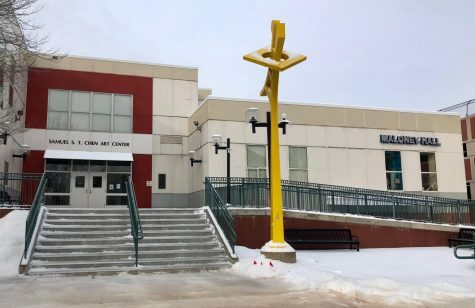 “This is the second hate crime that’s happened this week,” Kuo said, referring to the anti-LGBTQ brochure that was found at last week’s LGBT open mic night. In order to combat this, Kuo, along with the Black Student Union, PRIDE and the SGA, is hosting a “silent” rally this upcoming Thursday. Fruin acknowledged the frustration and fear students expressed, saying that she knows those impacted by it are hurting. Dr. Toro said she encourages students to report incidents of hate – verbal, written or otherwise – that are seen on campus to the CCSU PD. Police are still investigating the incidents. Anyone with concerns about any campus climate issues can share them with Dr. Toro by going to www.ccsu.edu/ccc.